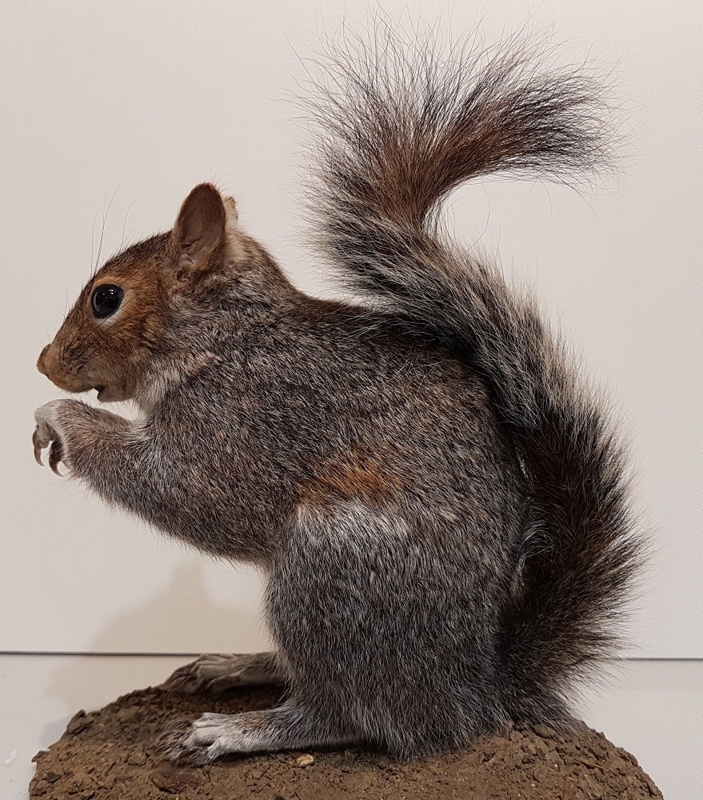 North American grey squirrels were first brought to Britain in the 1870s. They spread quickly and replaced the native red squirrel, which has been extinct locally since 1944. Purchased from S.E. England Area Museums Service.